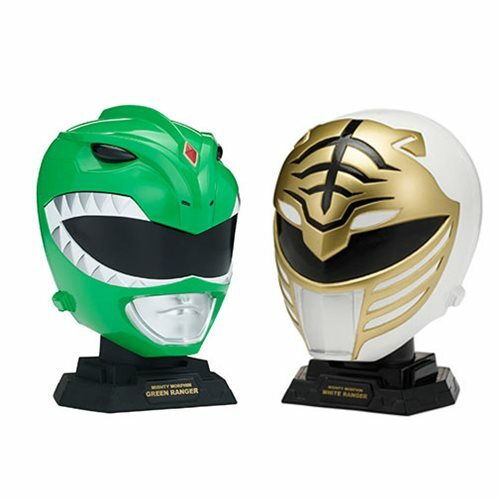 The Power Rangers Legacy 1:4 Scale Helmet Collection features meticulously crafted 1:4 scale replicas of the original Mighty Morphin White and Red Ranger iconic helmets. Each helmet has premium paint to accentuate the detailed sculpting that looks just like the real thing, only smaller. Each helmet comes packaged with a display stand. Ages 4 and up.